The long experience and great dedication of our staff at Appliance Repair Bayonne are two good reasons for trusting our company. We have been taking care of appliances for a long time and know what to do when they break down, stop spinning or fail to latch properly. You can have confidence in the capacities of our appliance service technicians and knowhow to fix your home laundry room appliances and your restaurant's kitchen appliances. With a great team, properly equipped vans and knowledge of all types, models and brands, our technicians can help everyone in need. With its long history and great development, New Jersey boasts for its natural beauty, incredible economic growth, historic places and museums. Bayonne boasts for the Community and Firefighters Museums, but Bayonne Bridge is also one major attraction in our town. With people coming and going and being focused on their jobs, our quick appliances repair service is what they need when something goes wrong in the kitchen of their restaurant, hotel or residence. We provide full services and promise to take care of everything in a timely manner. Rely on our team when you have trouble with your microwave, garbage disposal or any other commercial and home appliance. We provide small appliance repair, respond as fast as we can, try to fix problems in one visit, are courteous and focused and know how to fix the most demanding problem. With years in this job and up to date knowledge of the most recent technologies and how they affect our industry, our company can be of huge assistance when appliances leak, break down or overflow. 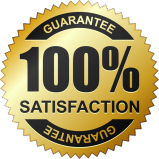 The even greater news for each client trusting our work is that our Appliance Repair company in Bayonne fully covers all needs, offers same day troubleshooting, installs new appliances and maintains the existing ones. The quality of our service is excellent since the work is always done by experienced and committed technicians, who offer immediate kitchen appliance repairs, know how to service dryers efficiently, fix leaking washers as soon as possible and are devoted to the needs of each customer.